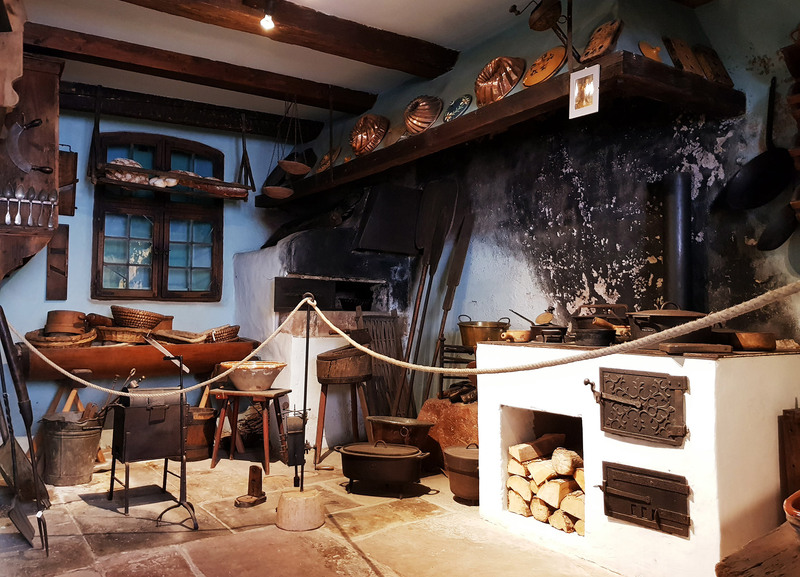 The Museum of Folk Arts is housed in a rural patrician Renaissance residence built in 1590. 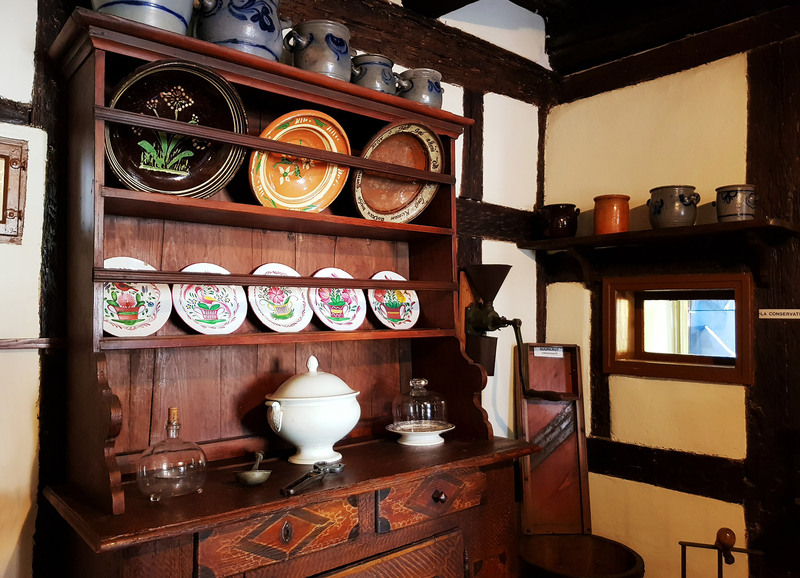 Its collections are not designed to make the visitors long for the past, but they re-create daily life in the 18th and 19th centuries, with its joys and sorrows, its pains and joys. They also include specific objects. On the ground-floor, in a large room adorned with an authentic polychrome ceiling, a temporary exhibition (renewed every other year) introduces the visitor to antique techniques, forgotten rites, ancient everyday life utensils… A floor is devoted to ceramics but it is not restricted to earthenware produced in Betschdorf and Soufflenheim. It gives evidence that sandstone and baked clay could also be used for decorative, festive and ritual uses. The molds on exhibit show that they were used for different festivals throughout the year and according to the ages of life. A recent extension makes it possible to get a better insight into the life of the Jewish rural communities. The Museum exhibits a complete range of ritual accessories used by Jews, either at home or in a synagogue. In the early Middle Ages, Jewish communities settled near large abbeys and the community of Marrmoutier was booming in the mid-19th century. The Kochersberg hinterland is not a rich farmland but the craft industry was prosperous and the abbey was one of the best customers. The building trades organized into a powerful guild whereas other activities were developed in its wake, under the supervision of the blacksmith, the “master of fire”.